Russia and Ukraine paid homage to that fateful day 25 years ago, on April 26, 1986, when reactor number four at the nuclear plant at Chernobyl, went out of control, leading to an explosion that released large amounts of radiation into the atmosphere. ­President Dmitry Medvedev arrived in Chernobyl, where he is participating in activities devoted to the 25th anniversary of the nuclear tragedy. After the Russian leader was welcomed at a helicopter landing site by Ukrainian President Viktor Yanukovich, the two presidents attended a religious service at St. Elijah Church of Chernobyl, as well as a stone-laying ceremony at the site of the future monument to the so-called “liquidators,” who were the first victims of the world's greatest nuclear catastrophe. Medvedev said the world has a duty to remember those individuals who bravely battled to contain the aftermath of the Chernobyl disaster. "After the disaster, the huge number of residents of Ukraine, Russia and other republics performed very demanding and extremely necessary work to eliminate the consequences of the disaster," Medvedev said. 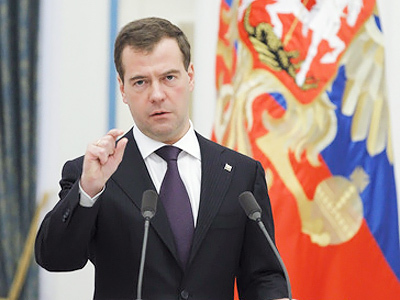 We all have a duty to remember their tremendous sacrifice, Medvedev added. The extraordinary efforts to contain the contamination and avert a greater catastrophe involved over 600,000 emergency workers and cost an estimated 18 billion rubles, crippling the Soviet economy, as well as arguably ushering in an era of openness known as Glasnost. 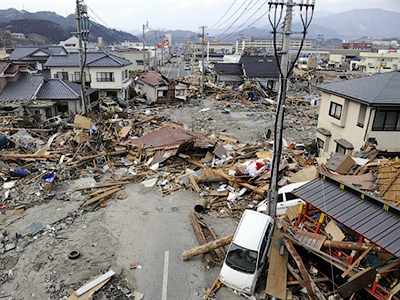 The Russian president also took the opportunity – coming as it does at the same time the world is grappling with yet another nuclear disaster, this one in Fukushima, Japan – to stress that countries have a duty to tell their citizens the whole truth about man-made disasters. "The state has a duty to tell people the truth. We have to admit that the state has not always done the right thing," Medvedev said at a ceremony marking the 25th anniversary of the Chernobyl disaster. "We should all be honest; we should provide absolutely precise information on what is happening, no matter where it happens and what is happening. Medvedev and Yanukovich then traveled to the Ukrainian capital of Kiev, which is situated 130 kilometers south of Chernobyl, where they will hold a working meeting in the Zalesye residence. The explosion is said to have released up to 400 times more radiation than the US atomic bomb dropped over Hiroshima (However, according to the International Atomic Energy Agency, the testing of atomic bombs conducted by several countries around the globe during the 1960s and 1970s contributed 100 to 1,000 times more radioactive material to the environment than Chernobyl). Hundreds of thousands were sickened by Chernobyl’s nuclear fallout, while large swaths of pristine forests and agricultural land will be forever off-limits to mankind. 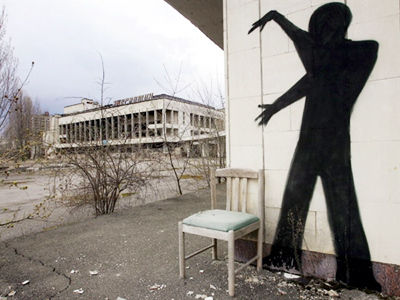 In the aftermath of the nuclear meltdown, the town of Pripyat (with a population of just under 50,000 people) was evacuated 36 hours after the accident. During the subsequent weeks an additional 70,000 people were ordered out of their homes. 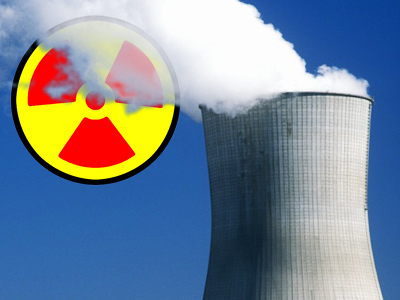 In total, an estimated 200,000 people are believed to have been relocated as a result of the world’s worst nuclear accident. Some 150,000 square kilometers in the border zones around Belarus, Russia and Ukraine are contaminated to various degrees. An area covering 30 kilometers around the plant is considered the “exclusion zone” and is essentially uninhabited and being reclaimed by nature. In 1986, the city of Slavutych was built 50 kilometers from Chernobyl to relocate the people of Pripyat who suddenly found themselves homeless and without their possessions. 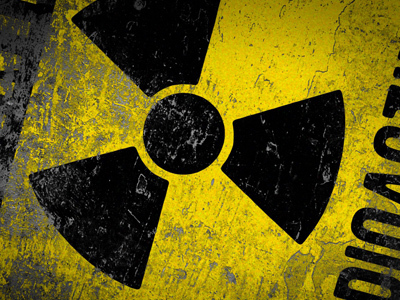 Meanwhile, the UN’s World Health Organization said at a conference in Kiev last week that among the 600,000 people most heavily exposed to the radioactive fallout, 4,000 more cancer-related deaths than average are expected to be ultimately discovered. Finally, Medvedev has said he forwarded initiatives on Tuesday dealing with the safety of nuclear power technology to the leaders of the world's major states. "Today I sent proposals to the leaders of the largest states, our friends and partners from the Commonwealth of Independent States, naturally including Ukraine, that are aimed at ensuring the proper development of atomic energy in the world, at the same time preventing global catastrophic consequences," Medvedev told reporters in Kiev.